Nine-candle menorahs celebrating Chanukah (Festival of Lights/Feast of Dedication). Tonight (Wednesday) is Chanukah AND Thanksgiving Eve. This combination of Chanukah and Thanksgiving only happens very rarely! Song For Israel wishes you joyful celebrations with thanksgiving to Adoni (our Lord). 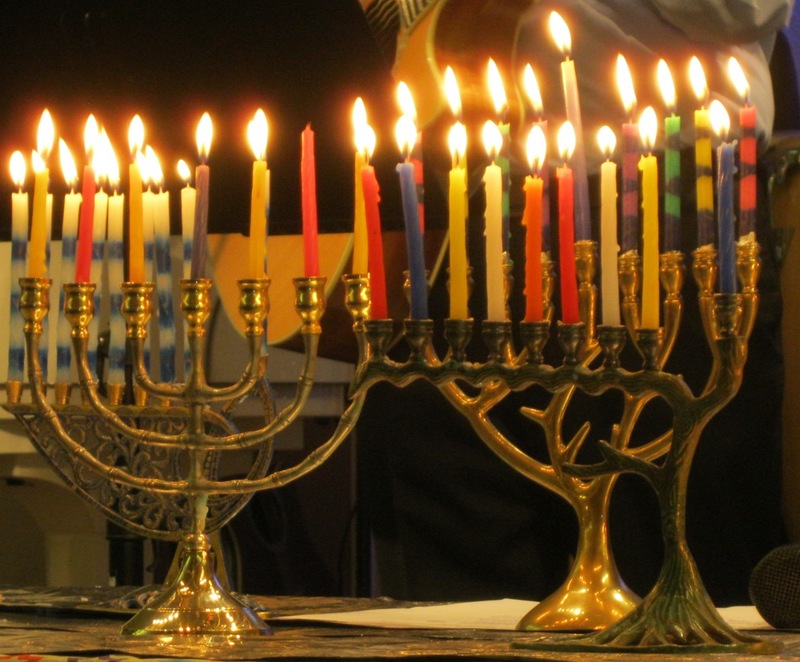 Please check back daily for eight days of Chanukah celebration articles!